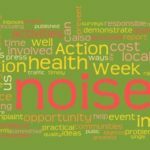 Noise Action Week 2018 offers a timely opportunity for everyone involved in noise management – including local councils, housing providers, acoustics professionals as well as communities blighted by noise – to raise awareness of the cost of noise in our neighbourhoods to our health. The week is also an opportunity for those involved in activities with the potential to cause noise problems – whether its building work or a music event – to demonstrate they’re committed to reducing noise pollution. Planning and communication can prevent noisy work and events from causing problems – just as planning where our homes and facilities are can reduce the number of problems arising. 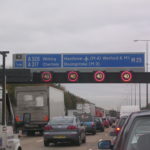 In her recently published report on the health impacts of pollution the Chief Medical Officer in England acknowledges that noise pollution is second only to air pollution in the extent of damage it causes to public health. She also says noise is very likely the pollutant that has the greatest impact on our quality of life. Local councils and local concillors are well aware of this as noise is the single largest source of complaint in their inboxes. Surveys have found over 80% of people are exposed to noise pollution at home and nearly half of people are bothered by intrusive traffic noise in their homes. The effects of disturbing noises in our neighbourhoods are less easy to quantify, but most of us have suffered the impacts of late night parties, persistently barking dogs of high decibel DIY. The need for a Noise Action Week remains – as it offers an opportunity to focus attention on a pollutant that affects everyone. We can’t close our ears – and research has shown that exposure to noise may harm us even as we sleep. Our bodies’ fight or flight mechanism is designed to alert as to danger – and noise at night can impact on our body chemistry even if we don’t wake up. This is why Noise Action Week remains important, as an annual opportunity to promote practical ways to prevent noise problems arising. 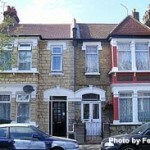 These include in the design and construction of our homes and in the planning process. 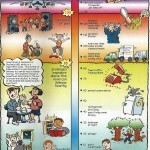 It also includes ensuring noisy activities are undertaken at a time and in a place where they are least likely to cause disturbance – and if noise is unavoidable mainataining clear communications with anyone disturbed to keep disruption to a minimum – whether planning a party, major building works or an entertainment of sporting event. 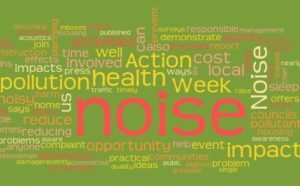 During Noise Action Week we are encouraging anyone involved in managing noise problems – or responsible for inherently noisy activities – to join us in approaching a common sense approach to reducing the impact of noise on the health and well being of communities and individuals. If you are a local authority noise team, housing provider, mediation service, noise consultant or an event organiser, responsible for licensed premises, construction company or involved in any other noisy activity – we hope you will help to reduce the impact of noise pollution on all our health – and the wider environment – by supporting Noise Action Week. If you’re short of time / funds – offer to talk to your local press or radio station about what you are doing to reduce noise. If you really want to make an impact – organise an event to offer advice on noise and demonstrate how you are working to reduce it. There are plenty of ideas for activities on the Take Part page of our website.